Includes a Foreword by Prof Paul Hughes. See also: AER 47 cover . 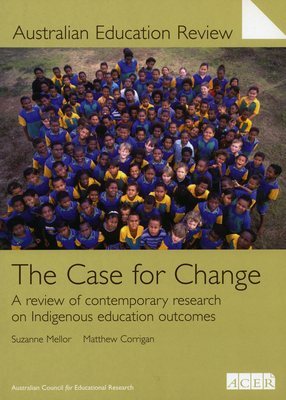 AER 47 examines the research evidence underpinning current government policy developed over the last two decades in an attempt to improve the educational outcomes of indigenous students. It reviews and analyses existing educational research into the precursors and concomitant factors that contribute to educational achievement for students generally and for indigenous students in particular. It argues that current policy is insufficiently underpinned by substantive research, and that changes should be made, both to research methodology and to policy content.